"keeps getting worse and worse for arrivals"
✅ Trip Verified | I have never written a review for anything online before, until now. I can only say that Edinburgh airport keeps getting worse and worse for arrivals. 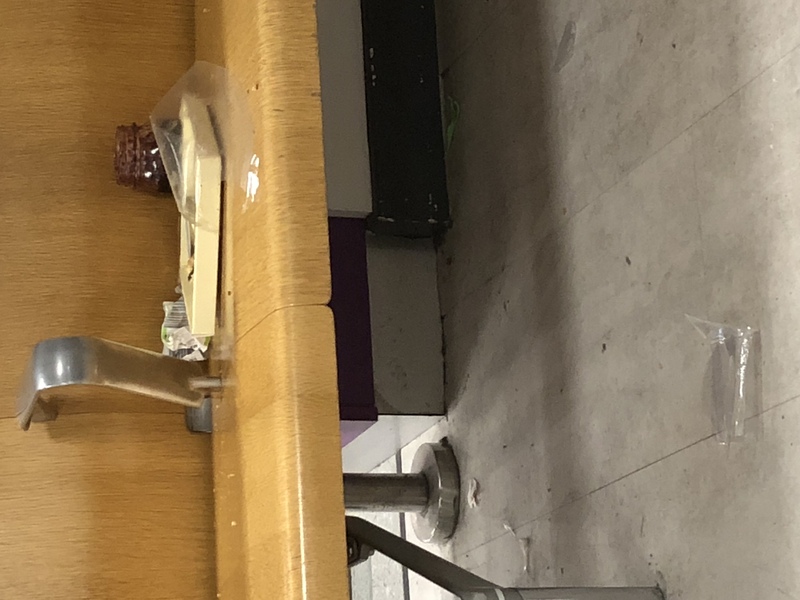 I am extremely disappointed and ashamed as a resident of Edinburgh that visitors have to put up with the experience of arriving at this ramshackle disgrace of an airport. We arrived on time from Cyprus and then had to wait 30 mins for buses to turn up. We were on time airport management. What took you by surprise? You then arrive in the new environment for border force and baggage (A farm shed would be an apt description). Really? Is this the best we can do for Scotland's capital city? Thereafter we wait another 30-40 minutes for the baggage to arrive. By the time we got out of the shed it made a pleasant on-time journey into a joke and then you have to navigate to the taxi rank, where the flow of getting there is so very rank. And then you have to wait 10-15 minutes to get out of the rank via the car park, racking up cost. It's a shambolic hotch-potch airport. So I will provide a one word review of Edinburgh airport, rank. Not Verified | Went to pick up friends arriving at Edinburgh Airport. Try finding an arrivals board is worse than finding a nedle in a haystack One would think that there would be a large board showing arrivals but no. One tiny screen on a stand beside domestic arrivals which is hidden if a person is standing in front of it, and difficult to read as the lettering is so small. Three other boards at the other end of the airport all pointing towards a wall and 2 are enclosed inside the Ryanair check in. People wander up and down trying to find where to pick up people. Meanwhile there are many airport employees standing chatting, clutching notebooks absolutely oblivious to the many, many shortcomings of this "international" airport. Use Glasgow, light airy and good signage. 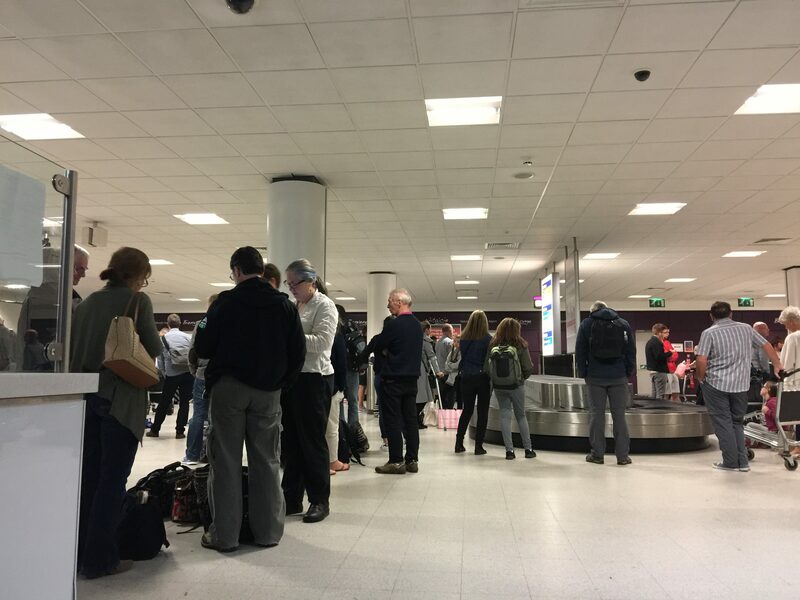 ✅ Trip Verified | This is not the first time I have complained about the services at Edinburgh Airport (EDI), especially the baggage collection operation (International Arrivals). And, to be honest, the only reason I keep writing is the cathartic effect of simply getting it off my chest. In summary, EDI is a national disgrace. As a first impression for many visitors, it is an embarrassment. I know there has been investment in facilities and systems. And I also appreciate there will always be teething troubles. But I am convinced the problems lies with the people. Tuesday night was the usual chaos - exacerbated by the breakdown of the conveyor belt, inaccurate information, no staff present (or visible), dirty, over crowded, etc etc. I travel regularly - all over the world. It is not only my opinion that Edinburgh is one of the worst, if not THE worst, airports. I know that a recent survey has EDI the "fifth worst" - God help the other 4. We just have to accept that the convenience of EDI location means more than the stress of having to use their facilities. As is always the case, the guys who make the decisions rarely know the impact on those who have to endure. Not Verified | Absolutely shocking. Arriving at 01:00 am and the brilliant e-passport gates all switched off. So have about 4-5 planes of passenger waiting in queue for 4 person working at the passport control. ✅ Trip Verified | The problems at this airport need to be addressed but most of all at border control. There is never enough border guards on at night when the “holiday makers” come in early hours. This is the third time we have had to queue for over an hour but last night was beyond a joke. Speak about cattle class. Small children being left outside in the pouring rain and cold for half an hour at 1.30am in the morning is absolutely ridiculous. I was prepared this time with hoodies & rain jackets but we were still freezing & wet. The poor little girls in their summer dresses I just can’t comprehend. I regularly asked staff what they thought. They are genuinely mortified & horrified and it is an ongoing problem. There was heaps of room in the terminal but due to the layout of the temporary passage ways no room for us and we had to stand outside again! We come from Aberdeen and I can safely say will no longer be flying from this airport again till it gets it act together! Idiots with absolutely no joint up thinking is running the show. Hate to think of real “issues” or what is going on under their noses if they can’t deal with a simple problem full in the face like this! Not Verified | Absolutely disgusted at having to climb 3 sets of stairs as no lift working today, 31 March 2019 at 2.00pm ish, at the airport having arrived back from Venice with Jet 2. All the passengers were complaining. No advice given as to this before we left the plane. Simply not good enough and total disregard for passenger welfare. Many of us had extreme difficulty in climbing the stairs. 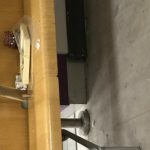 "the worst airport in the country"
Not Verified | This is really the worst airport in the country, the entrance is confusing, the signs ineffective, charge for drop off a joke, the staff are unfriendly and rude and there is little seating other than where they want you to spend money. But worse much worse, 6 out of 6 trips have resulted in cancelled flights from London, delays from Doha and Geneva and a shambles trying to get bags, all at wrong belt and all take an age. The staff are clueless and rude and they expect us all to just stand and queue like sheep at the knackers yard, it really is a horrible experience. They are late with stairs then bring the wrong ones, we arrived from Doha at 5:34 and got off the plane at 6:39 apparently there was another plane on the stand. This flight was in the air for more than 7 hours, surely they spoke with the crew and had time to arrange this basic function, but no rather have us sitting on tarmac becoming more and more frustrated, they don’t deserve the custom and for me they won’t be getting it again. "inconsistent on a massive level"
Not Verified | Several weeks ago when travelling through security, I was advised by a rude / Arrogant Security person that I had to have my toiletries in an Airport Plastic Bag and not the Airport Security Approved Plastic see - through bag that I had purchased! This I was assured (aggressively) was standard practice! If this is standard practice then I would like to know why, on the last 2 occasions that I have been through, that the said purchased plastic bag with my toiletries in it went through without question? The point is that these people are inconsistent on a massive level - leaving passengers angry and confused about what is correct / what is expected of them and then being “barked at” by some mannerless moron for some simple issue! What a way to start a trip / vacation ? Security personnel / procedure at this Airport is a disgrace and does not improve from one week / year to the next! Arrivals is also now a chaotic experience - gates that don’t work / One queue for UK / non-UK and 16 year olds in uniform “barking at” all arrivals to get in line! I get Security on all levels but there is absolutely no attempt to “ humanise” it at this Airport! 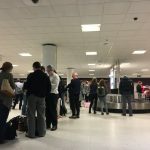 Scottish people represent friendly/happy/welcoming to people from all other countries - not at this Airport - I’m guessing that part of the selection process is to find the most miserable / ill-mannered / unfriendly / couldn’t care less morons to staff this Airport! "How badly designed is this airport?" Not Verified | This review is from the perspective of someone who collected and dropped off a traveller at the airport. How badly designed is this airport? Customers appear to be way down their list of priorities. The main car park is a one way labyrinth that sends you round and round a seemingly ever decreasing path looking for a parking space. You can see spaces to park in the next row, but they seem to be impossible to reach without going against the one way flow. When you take the main (only?) walking route from the car park it brings you directly to the terminal entrance - except that this entrance in closed and you have to walk (past groups of smokers) to the next entrance. And am I alone in finding £7 a rip off to park for less than 30 minutes whilst I accompany a friend to check in? When I collected them a week earlier I paid £10 to park for less than an hour. Is this level of parking charge standard at airports? 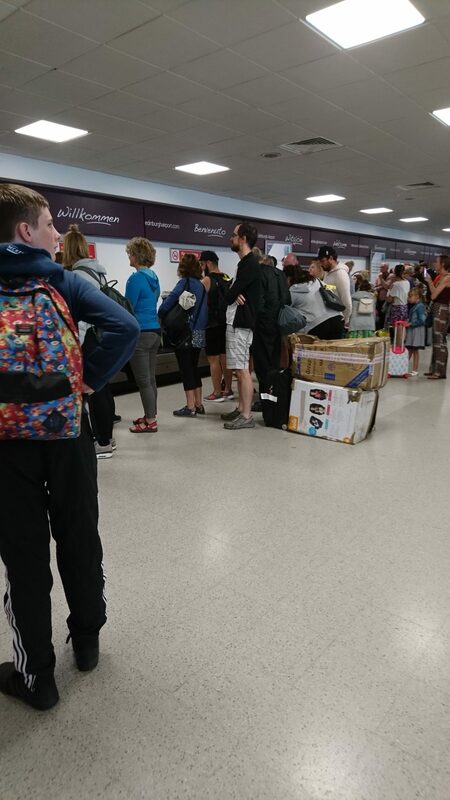 "major delays to retrieving baggage"
✅ Trip Verified | Yet again we had major delays to retrieving baggage on Saturday 9th Feb 8pm Flight LS746 from Fuerteventura. 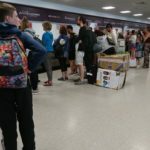 We travel regularly and have experienced major baggage delays at the airport as have our family who live in New York and travel to Edinburgh. An hour to the carousel bringing our luggage - passengers from Innsbruk waiting 2 hrs. Not good enough especially as it occurs regularly. Our Jet 2 contact was fantastic at the carousel, taking complaints from all passengers from various airlines. She was the only rep - 6 flights coming into No. 7 carousel at the same time. Absolutely diabolical and all sorts of excuses which changed as time passed. Come on Edinburgh, you can do better than this. Get it improved! Well done Jet2. Your airline and Customer Service are first class.